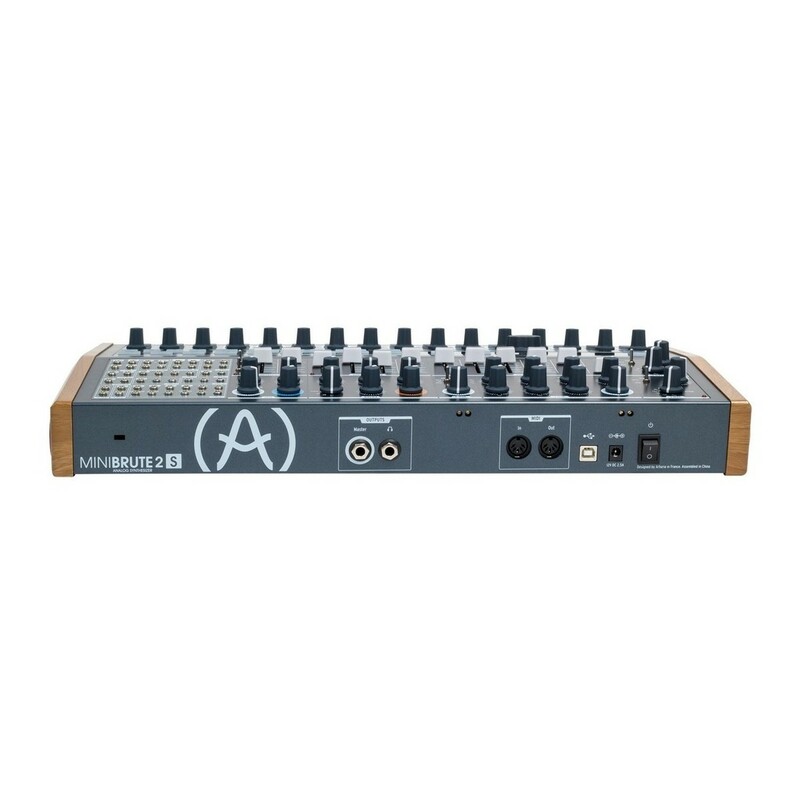 The Arturia MiniBrute 2S with 3U RackBrute is a special bundle comprising of the Arturia MiniBrute 2S, complete with a 3U Eurorack modular case. 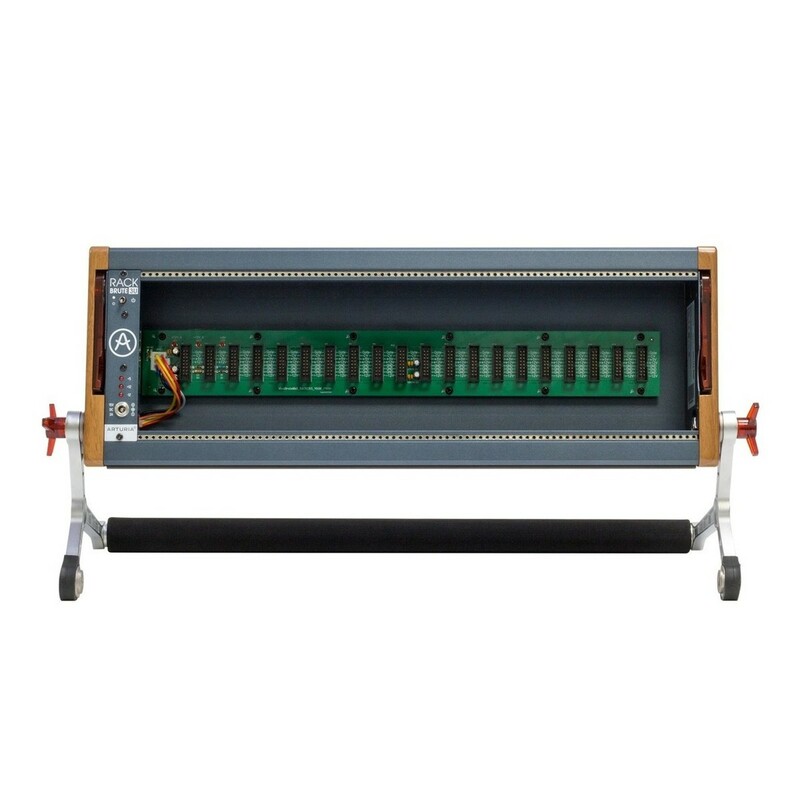 Combine your modules in the case with the patch bay of the MiniBrute 2S to create a powerful and versatile live performance tool. 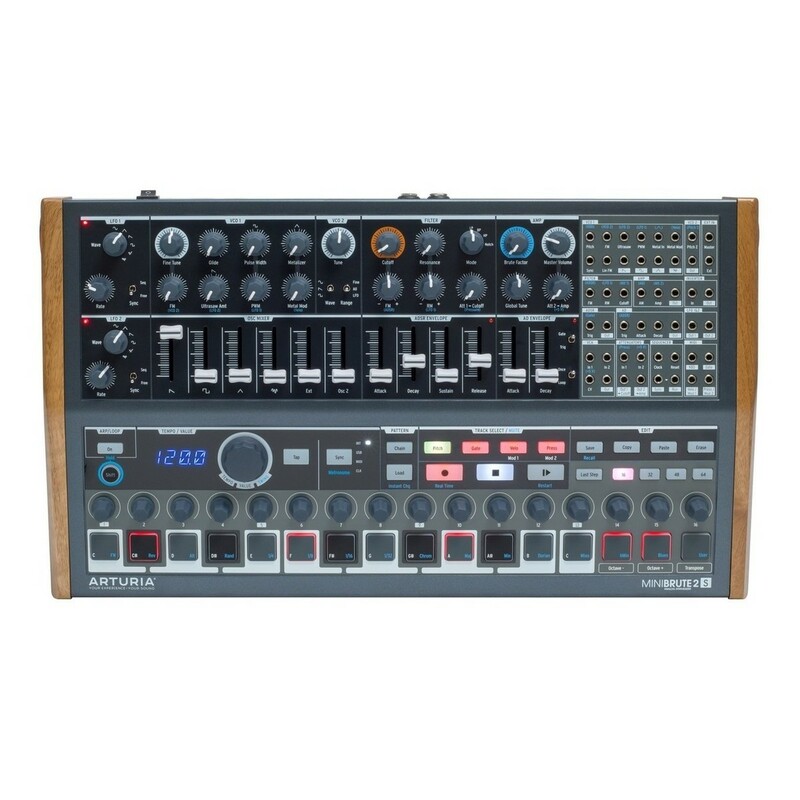 The MiniBrute 2S is a hybrid analog sequencer/synth that combines huge analog synth power with a versatile, triple-layered step-sequencer. 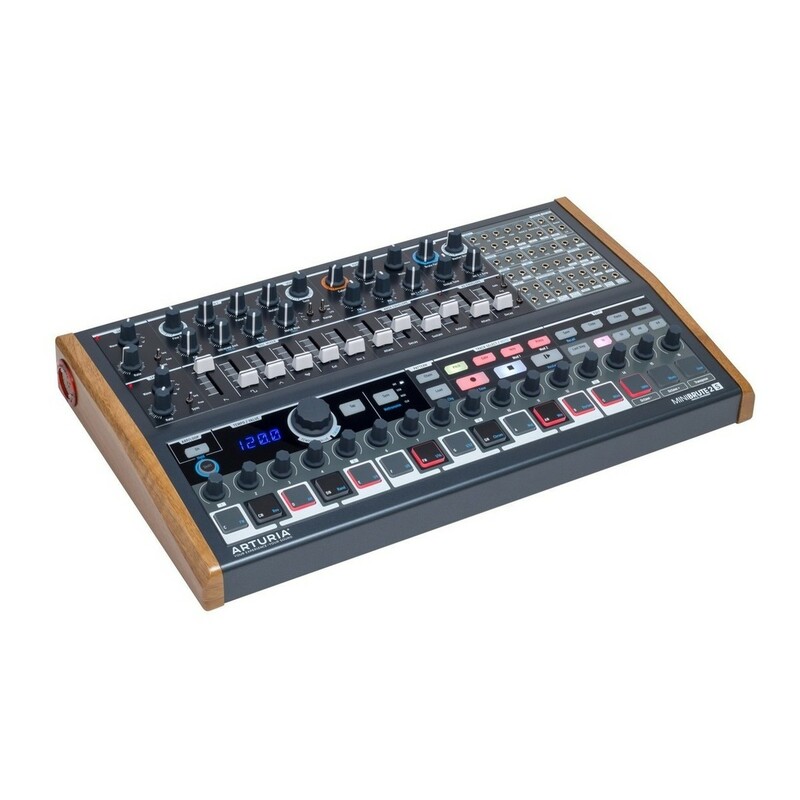 The MiniBrute 2S offers 2 mixable, multi-waveform oscillators that provide the core for sound shaping. The integrated step-sequencer makes rhythm and pattern creation a breeze, whilst the new modulation matrix unlocks a new world of performance possibilities. Give your music the punch and power it needs with the Arturia MiniBrute 2S. 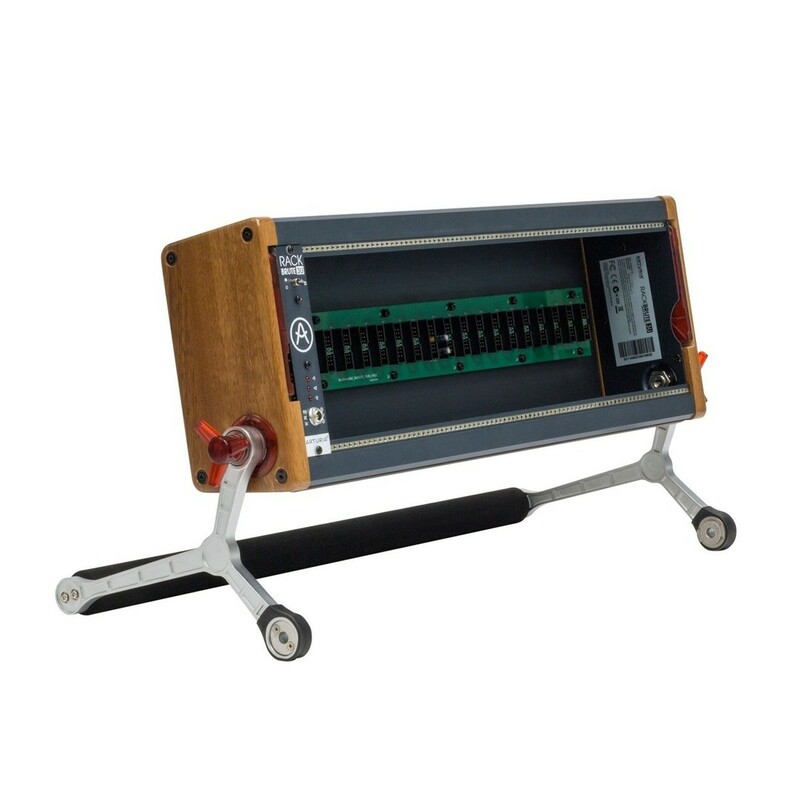 RackBrute 3U is an adjustable Eurorack housing system that will store, protect, and power your sound modules. 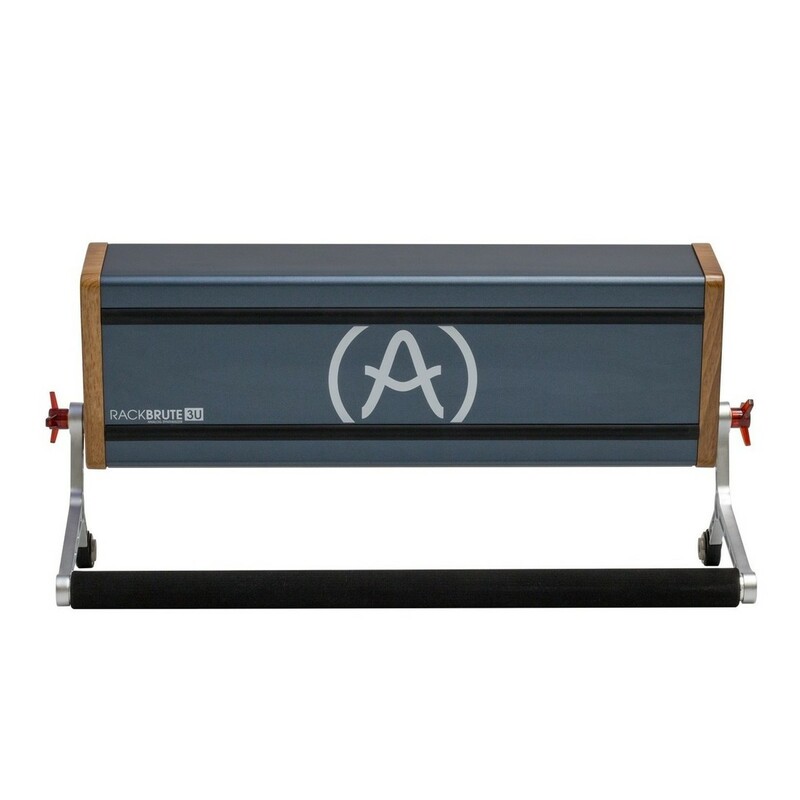 Putting everything within easy reach, it's the perfect solution for modern musicians who want total control of their creative space. 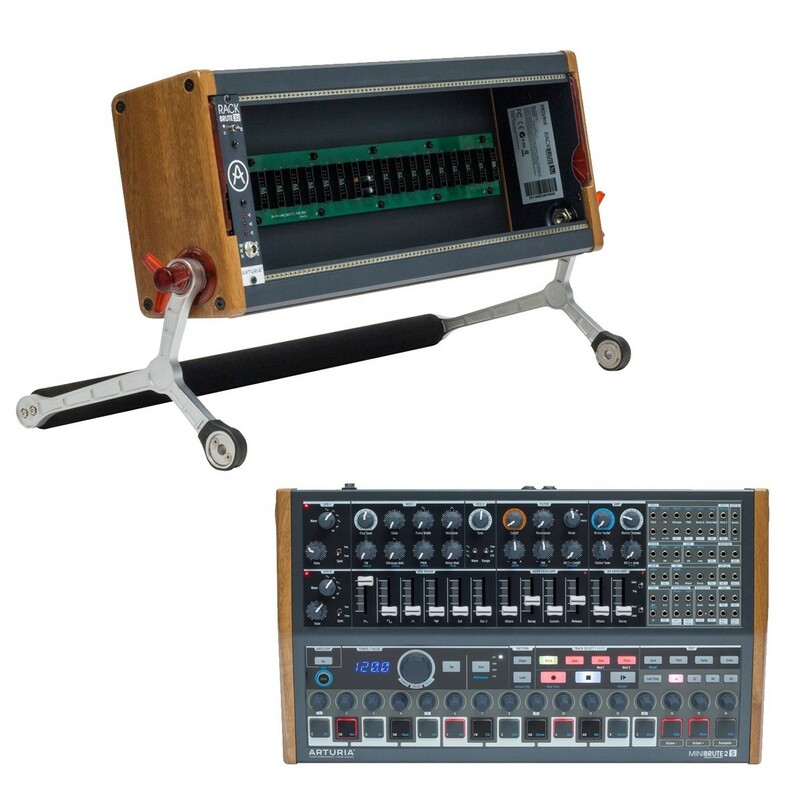 RackBrute also makes it easy to pack down and travel to gigs thanks to its innovative design, keeping your precious modules safe from harm. It also features a dedicated power module to provides quick access to global power, with status LEDs.